Safety 1s brings you a range of hassle-free products designed to support your baby’s development at every stage and make exploring safe and fun. Designed with parents in mind, the Safety 1st range offers solutions for enhanced child safety. 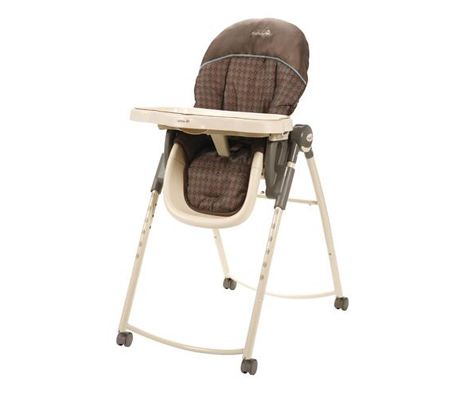 Features include lift-and-fold frame with locking indicators, one-hand three position recline, one-hand front-release tray with four positions, dishwasher-safe insert tray, permanent restraint with snack tray, stain resistant, machine washable cloth seat pa three-point restraint and lockable rear wheels.